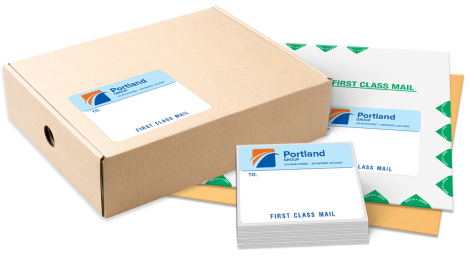 Make a great impression by using mailing and shipping labels on everything that leaves your firm's office. Presentation plays an important role in your brand identity so you want to be sure your mailings are exactly how you want to be portrayed. 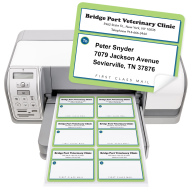 Our mailing labels are printed on premium, pressure-sensitive label stock with a smooth, matte finish, which makes it easy to write addresses. Available in two formats: On a Roll or Laser Sheets. Are you searching for a way to make sure that the mail sent from your accounting firm stands out? Personalized mailing labels are a great way to not only give your correspondence a professional appearance, but also to increase your brand recognition. When your clients see your envelope adorned with your customized mailing label, they will instantly distinguish it from the pile. Stand out from the pack. 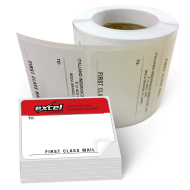 Order your promotional mailing labels for your accounting firm today!